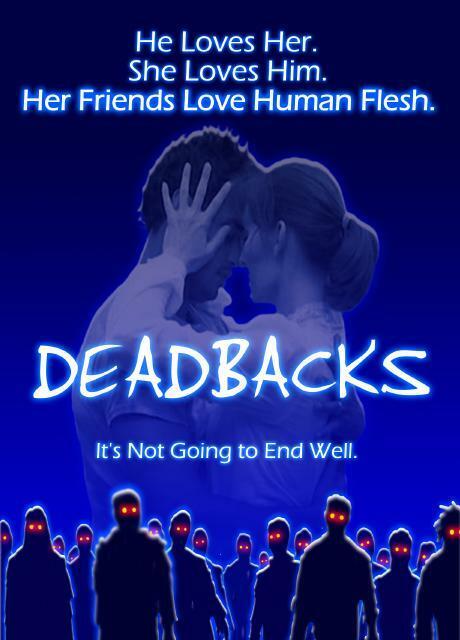 Bob and Rox handled various crew duties for our friend Aaron Allston's movie Deadbacks. Aaron wrote, directed, and produced a low-budget movie. Despite its low-budget, this is does not look like a typical low-budget movie. The combination of a strong screenplay and an excellent cast puts it in the category of serious independent films. The story defies genre, but you can think of it as a chick-flick horror movie. At its core is romance and a complex of changing relationships. The walking dead figure heavily into it as well, but probably not in the way you expect. We finished principal photography in the summer of 2005. Post-production bogged down and eventually stopped. Now Aaron has passed away and there is no telling whether it will eventually be completed. Despite everything, I continue to hope for an eventual release. Last updated on April 13, 2019.